This weeks optional challenge twist on Twisted Thursday at Outlawz Challenges is ANYTHING GOES! It is ALWAYS ANYTHING GOES on TWISTED THURSDAYS at OUTLAWZ CHALLENGES! This is the last week to get those entries in for a fabulous prize from our May sponsor! This year I went for a Panda themed birthday for my Daughter Tabitha’s 24th birthday. I made the card above using some techniques I have learned in my Kit And Clowder Marker Classes. Below are a couple of gifts she received among others not shown. This week on Twisted Thursdays at Outlawz Challenges it is time for a fun optional twist of Butterflies! Hello there friends and followers! Today I spent my day working on the October 2017 Marker class offered by Kit and Clowder. I dont know why, but this felt like the hardest class I have taken, yet. It might have been the crashing of my marker bag onto the floor that made it seem even more dreadful to complete. What a mess that was. I managed to get the markers reorganized in my marker bag somewhat and continued on with my project. I had a lot of difficulty with the tree and the sky. It never fails once I think I can take on an entire class I find a marker dried out and another nib ruined. It sure makes it a hassle when trying to blend out colors. 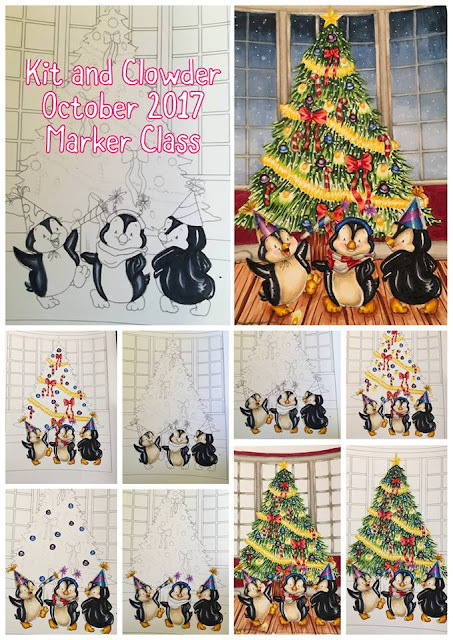 The adorable digi in this class is called Penguin Party and it can be found at Whimsy Stamps! Oh yes, I am on a coloring spree this weekend! I am trying to catch up on last years classes. I know I am paying for them so I should have done them. Time slipped away from me somehow. Today I worked on this beautiful digi image. 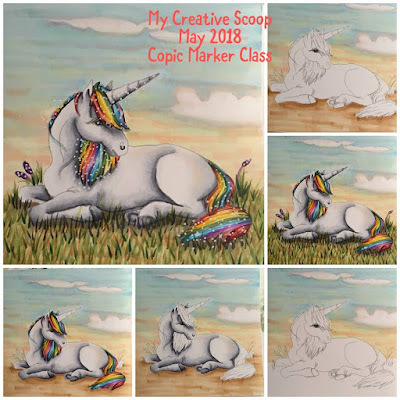 I found My Creative Scoop while searching Pinterest. 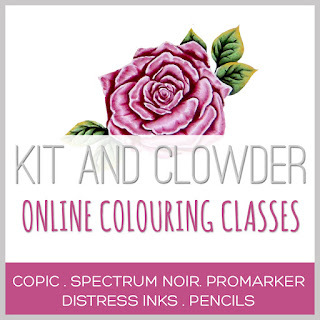 My Creative Scoop is a web site that offers digis to color and also fun marker classes all online. 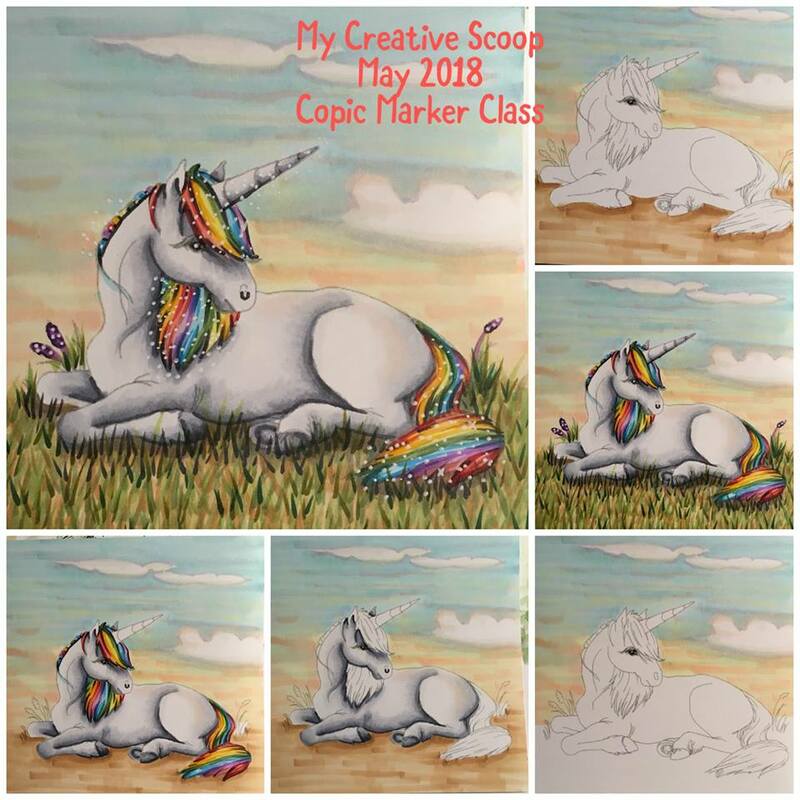 I had asked Mindy, the owner at My Creative Scoop to sponsor our Twisted Thursday challenge in January 2018, and today I finally decided to take her May Copic coloring class. Finally finished my June Copic Marker class. Yay! 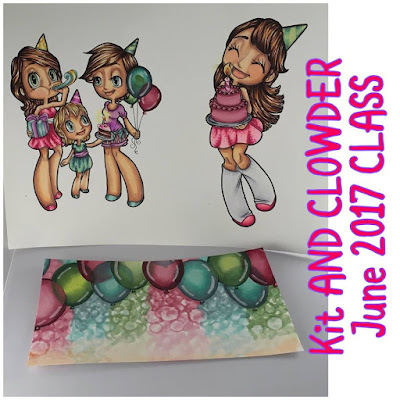 Love the beautiful coloring of the balloons and the background was super fun! On Twisted Thursday at Outlawzchallenges.ning.com we are always an ANYTHING GOES Challenge with a fun optional TWIST! And every month we have a prize to give away from one of our fabulous sponsors! For the month of May, our sponsor is All Dressed Up Digistamps, and this weeks fun optional twist for Twisted Thursday is Double Embossing! What is Double Embossing? Well, seems we all might think of it in a different way, one might think of it as one wet embossed technique and one dry embossed all in one creation. 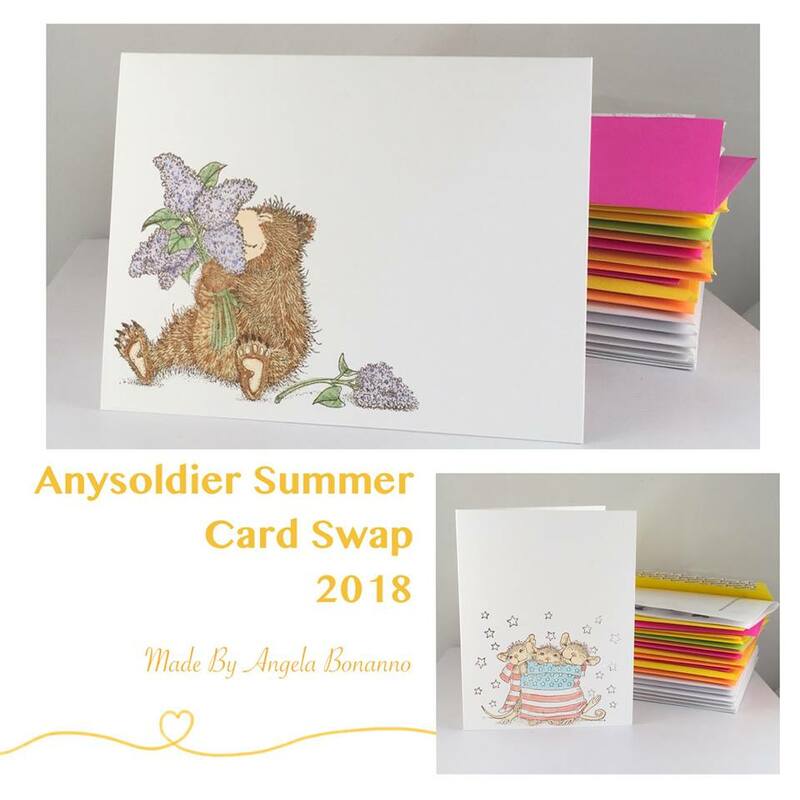 I took it as two embossed items no matter what kind, that is the fun of the challenge, we are not picky, it is how you interpret the challenge that makes the inspiring variation of cards from our members inpire us! Sure hope to see you there at OUTLAWZ CHALLENGES! I am so excited my card made TOP 3! Hello again! TGIF! Time for a fun crafty weekend! Today I decided to join in on another fun challenge at House Mouse Challenges. The challenge is Squares. 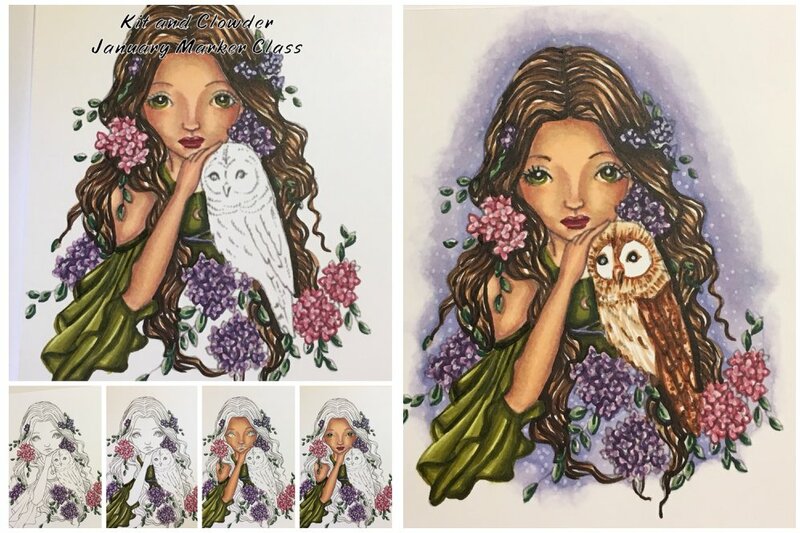 This weeks optional challenge twist on Twisted Thursday at Outlawz Challenges is Lavender & Lace! I love this challenge, too bad I had bitten off more than I can chew the last few weeks and I was totally lagging behind. I had to whip this creation up at last minute. I do not know where I have been over the last week, oh wait. 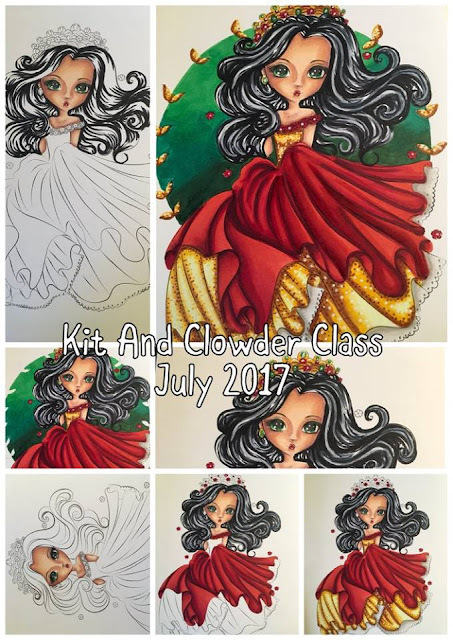 I was doing my Kit and Clowder coloring classes. 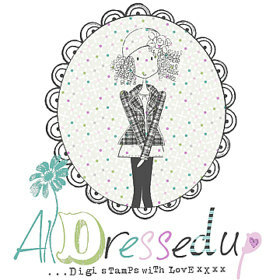 I was practicing what I have learned with this beautiful image from our May sponsor, ALL DRESSED UP STAMPS! Hello Friends! Today I am sharing with you this adorable Crochet Hanging Basket. This particular basket wasn’t smaller than I had expected. I was making this basket for my partner in the Friendship Crochet Swap on Facebook. We were told if it’s 6 inches make two. So I went up a hook size and made another. Aren’t they cute? I tried out this new yarn, it feels like a stretchy t-shirt. This is how it looks hanging. My first ever, Crochet Sunglasses Case! I am so thrilled how it turned out! 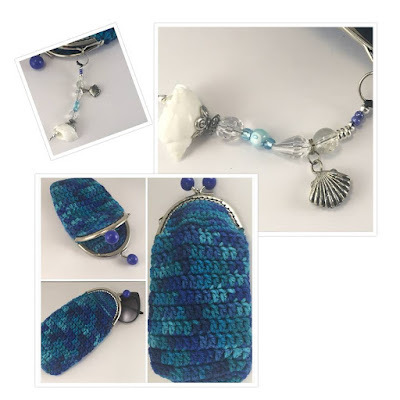 I had never used purse clasps before and once I found out that my partner in the Sunglass Case Crochet Swap loved the ocean theme and seashells, well I knew I had beads in my stash that would be perfect to incorporate either into a key ring or a charm. I cannot wait to make more items with these coin purse clasps! 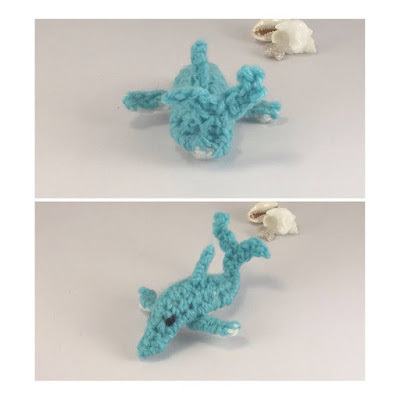 Found this cute pattern for free of a dolphin I thought I would give a try in baby yarn. I am going to try again in a thicker weight yarn, It really isnt bad, but I think it could be better. I had intended to use it for a charm on a sunglasses case but it turned out a tad too big for that idea. This beauty was so fun to color. I didn't have all the colors Alyce, the owner of Kit and Clowder used. But it still turned out looking stunning! My first attempt at a Wool Crochet Hanging basket. 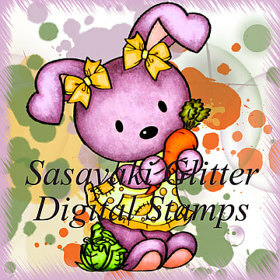 This adorable digi is from this months sponsor of Twisted Thursdays at Outlawz Challenges. Welcome to May, our sponsor this month is All Dressed Up. This week on Thursday we have another fun optional twist called "Something to Wear" I am counting the ribbon and the flowers in her hair as something to wear. You can see in the image at the back, the inside of the card. I took a look at my calendar and noticed I have a lot of birthdays coming up in the family and really need to add to my stash on my birthday cards. Are you interested in joining in some fun card challenges? You should click the link on the right tool bar to come play along with us at Outlawz Challenges! 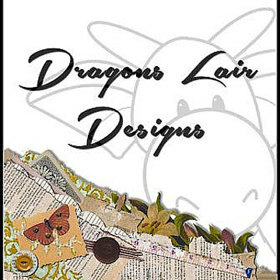 The Design Teams and I would love to see you!